Our exhibits foster curiosity and exploration, inspire creativity and engage the imagination through play. As you play with your children you will discover new ways they demonstrate their creativity, social interaction and problem-solving skills. Explore. Create. Imagine. 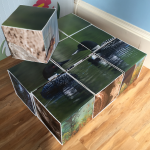 This nine-block soft sculpture gives children the opportunity to manipulate large blocks in a fun way. These blocks can form six different images of Vermont wildlife. This unique chair made out of books by Camp Betsy Cox provides a place for kids to look at or read books in a special space. 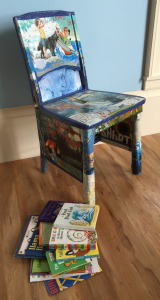 A big thank you goes out to Camp Betsy Cox for this wonderful chair. 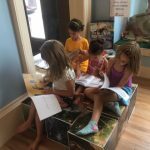 This unique clay modeling experience gives children of all ages the opportunity to explore their creative side. 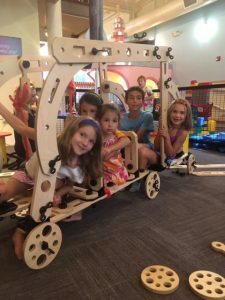 This collection of wooden planks, wheels, pulleys, nuts, bolts, and ropes allows children to follow their curiosity through play while learning 21st century STEAM skills. This is experience is specially set up for children birth through two years old with a variety of developmental experiences. This sensory experience gives even the youngest children the opportunity to explore textures. This experience gives kids the opportunity to explore color and shapes. 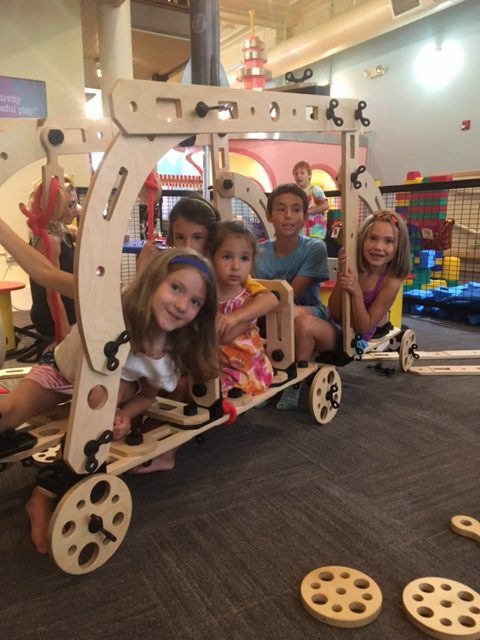 This experience gives kids and parents the opportunity to construct a variety of vehicles. 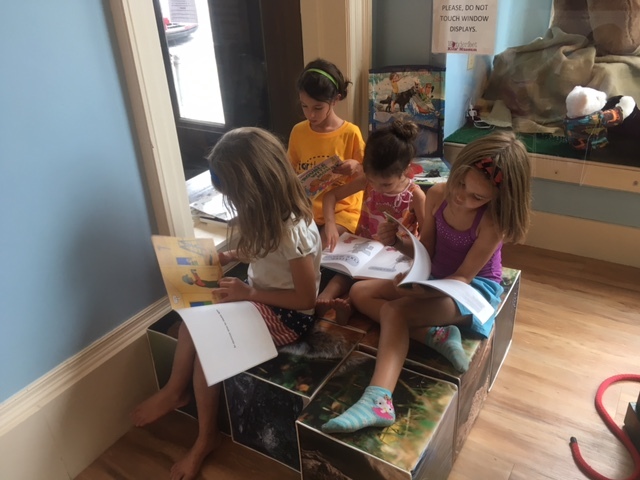 This experience gives kids the opportunity to create with a variety of media. This experience gives children the opportunity to experiment with wind. This experience gives kids the opportunity to role-play, and experiment in a variety of ways. This experience gives kids the opportunity to role-play and learn about healthy foods. This experience gives children the opportunity to role-play as chefs or eating at the diner counter. This experience gives kids the opportunity to experiment with inclined planes and how balls move. This experience gives families the opportunity to explore with light. This experience gives kids the opportunity to design and build structures with various over-sized building materials. This experience gives kids and their families the opportunity to design and build with LEGO’s and experiment with robots.